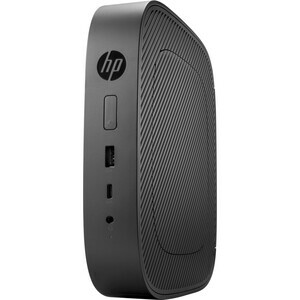 Finally a thin client built for today and tomorrow. Packed with flash storage, memory and connectivity options, along with multiple ports including USB-C™ to support both old and new peripherals, your transition into the future will be seamless.. Introducing incredible durability engineered around an AMD GX-215JJ dual-core 1.5 - 2.0 GHz SoC with Radeon™ R2E graphics and a fully solid-state fan-less design. Welcome to a future-focused desktop thin client experience. Security and performance go hand in hand with newly designed embedded operating systems and Trusted Platform Module hardware. Virtualized cloud computing ensures against system threats. Support comes naturally when you have a choice of USB ports, including USB-C™, serial and VGA ports. And with two DisplayPort™ outputs, we've got support covered, from every angle.